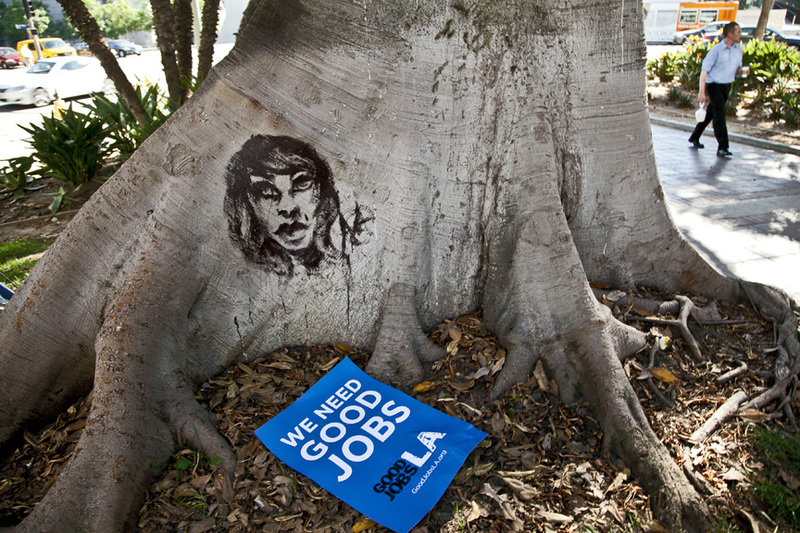 Day 12 at Occupy L.A. Mostly a slow hot day at LA city hall. Some protesters are getting upset about getting their photos taken, although most are cool with it. Should be interesting by Friday. 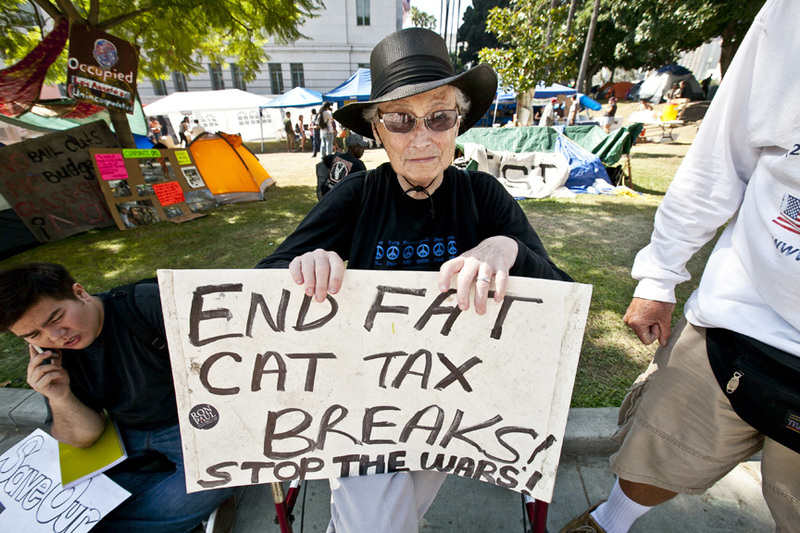 Met Lucy Horowitz, a 83 year old protester. She told me she is looking forward to getting arrested for protesting at city hall. Lucy was in the audience when Martin Luther King gave his "I have a dream" speech in D.C. She has been arrested several times for political protesting, mostly during the Viet Nam War era. Lucy also escaped the Nazi occupation of her homeland of Austria. Saw my friend Damian, he has a huge black eye from a bike accident at cicLAvia, at least he wasn't camera shy. 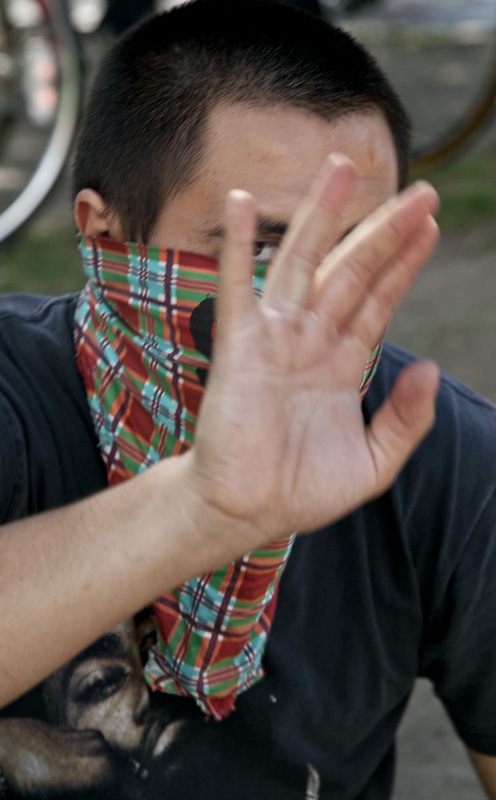 Camera shy masked protestor at L.A. city hall. 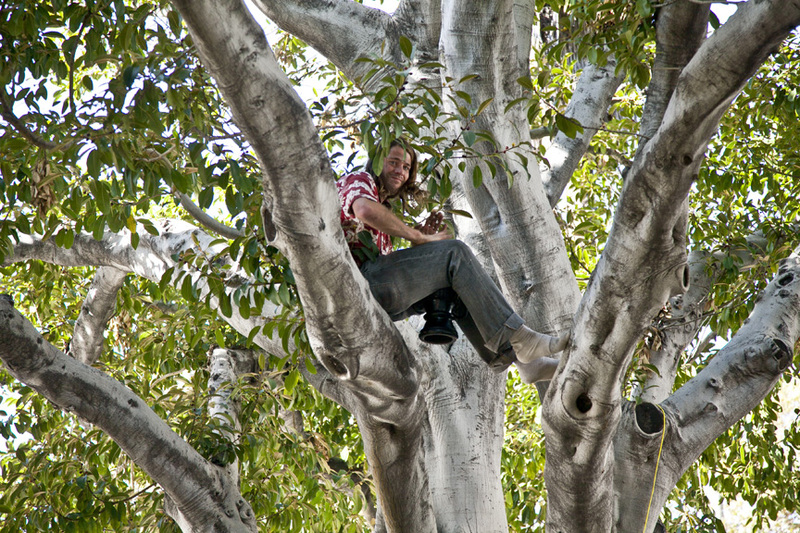 Playing a drum in a tree at L.A. city hall. Lucy Horowitz, 83 years old, not camera shy. 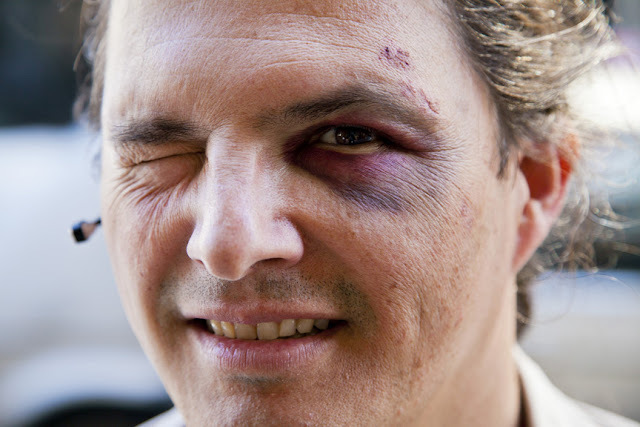 Pauvre cito, Damian and his black eye. Labels: ciclavia, LA, Occupy L.A.